A bike you love is an investment. 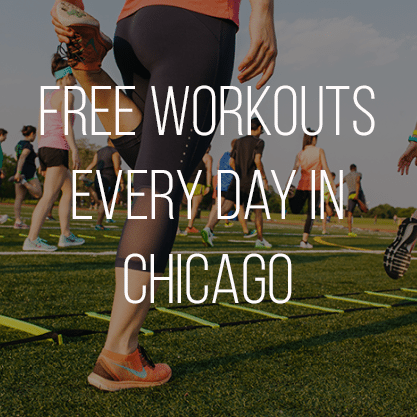 It’s an expensive purchase that you come to rely on to get you to work, to visit friends across the city and for exercise on long, weekend rides. It’s important that you take good care of your bike to keep it riding smoothly for as long as possible. 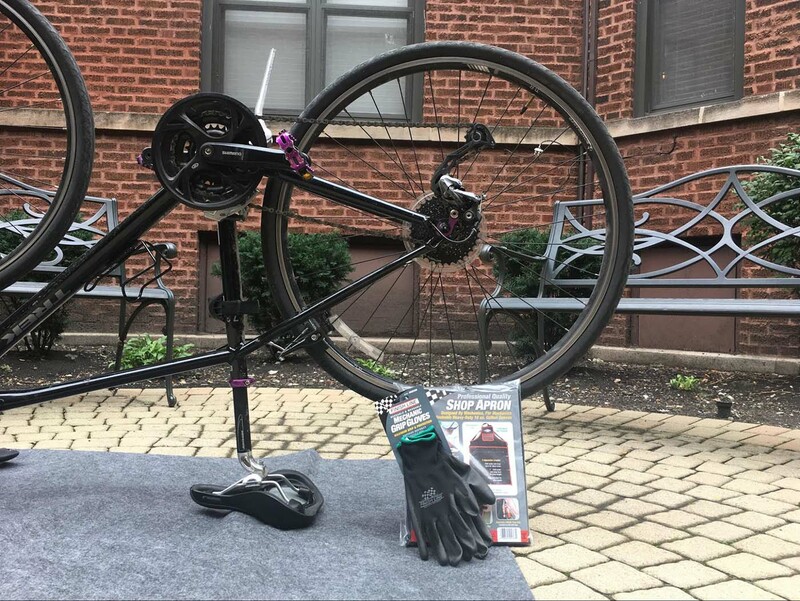 The cheapest and easiest thing you can do to extend the life of your bike’s components is to keep your bike clean and learn to do a seasonal bike tune-up a few times each year. The longer you leave the the chain and other components without a little bit of love, the quicker they will wear out. 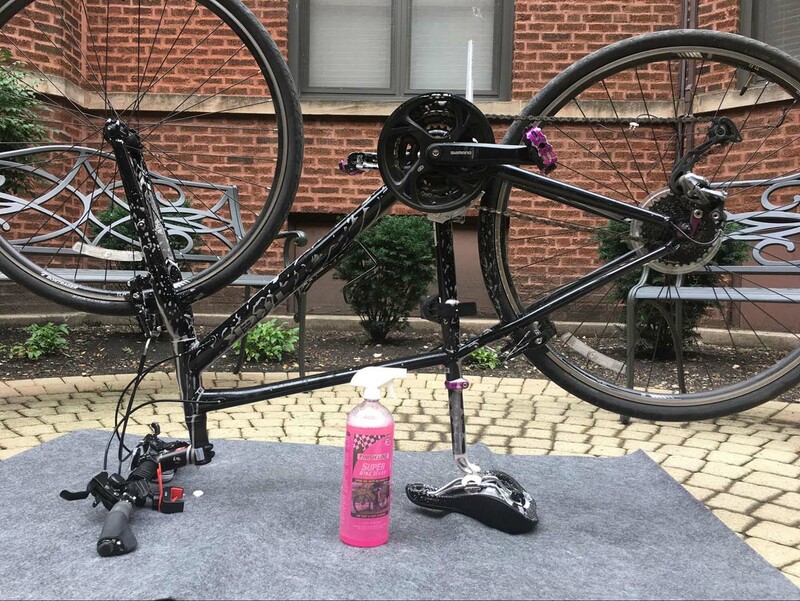 Cleaning and lubing every three to four months will double life of your chain, cassette and chainrings, saving you a few hundred dollars every time you would otherwise need to replace them. 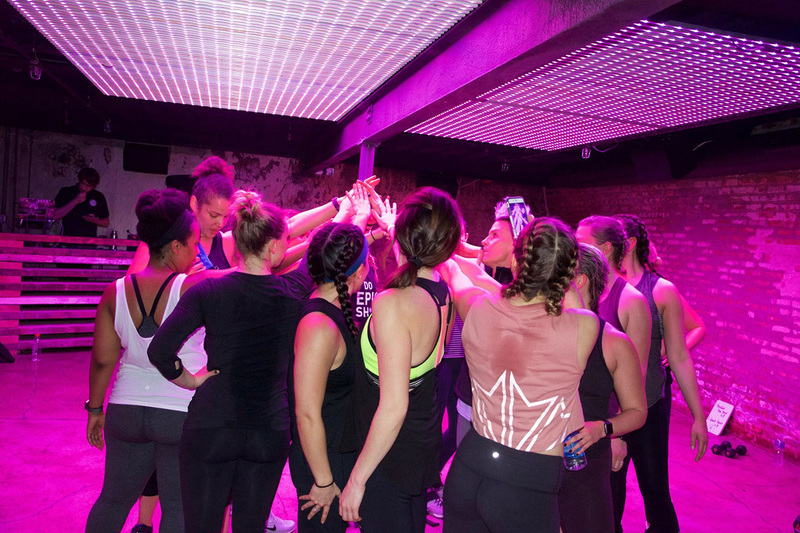 For those who haven’t done at-home tune-ups before, you may feel a bit intimidated. Don’t! It’s much easier than it sounds! Doing a fall tune-up will mean cleaning all the gunk and grime off of your bike. If you set up your workstation ahead of time, you can keep clean-up simple when you’re all done. Lay out an absorbent mat under your bike. This will trap all of the lubricants, grease, and other junk that’s going to come off your bike, and hold it in so it doesn’t leak through onto your garage or basement floor (or in my case, your shared courtyard). To protect my hands and clothes, I like to wear a washable apron and the Mechanic Grip gloves. The surface on the bottom of these gloves has a great gripping material that helps you hold on to small bike parts, but with a breathable outside that keeps your hands clean without getting too sweaty. You’ll need to be able to backpedal your bike in order to spin the chain while you’re cleaning it. The easiest method is to buy a work stand, although it’s possible (just a bit more challenging) to tune-up your bike by just flipping it upside down and resting it on the handlebars and seats, too. Degreasing your chain causes the biggest mess, so you want to make sure you do it first. Otherwise, you’ll clean your whole bike only mess it back up with little black splatters of grease all over. Finish Line has a helpful tool on their website to help you choose the right degreaser. If you have the time to degrease the bike and rinse it with water, the Citrus Bike Chain Degreaser is your best bet. For the most stubborn grime, you can use it in full strength, or it can be diluted for less messy chains. Apply it directly to your chain. The easiest method is using either a chain cleaner, which lets you clean the chain without taking it off of the bike. You simply fill the chain cleaner with the degreaser, attach it to the chain and backpedal for about ten revolutions to fully clean the chain (need more help? Watch this video). You can also use a brush to scrub the grungiest parts of the chain. Then, use soap and water to clean the black gunk out of the chain cleaner, then fill it with just hot water and put that on chain and back peddle it through again. 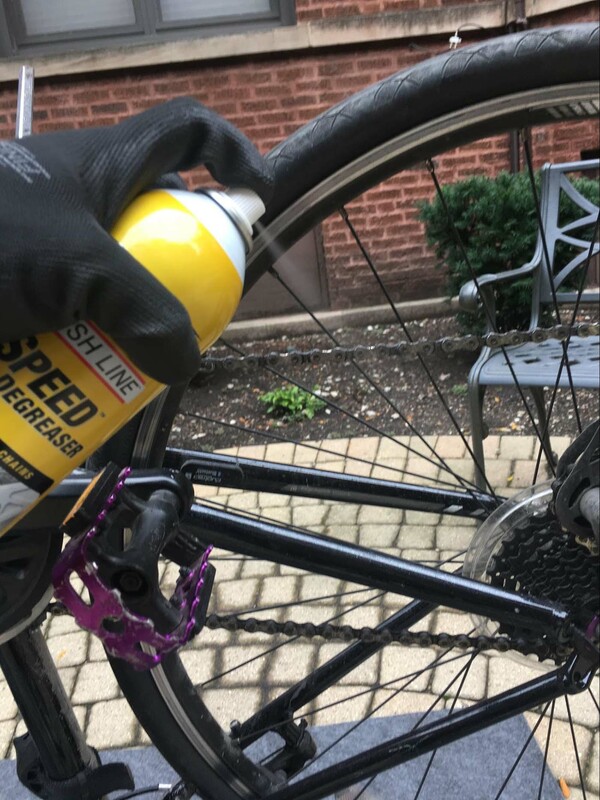 If you’re looking to save a bit of time and prefer an aerosol, you can use the Speed Bike Degreaser, which doesn’t require any scrubbing and doesn’t leave an oily residue. You simply spray the degreaser on your chain while backpedaling for about ten rotations. When you’re done degreasing with either degreaser, wipe the chain completely clean and dry with a rag. Once your chain is sparkling clean, spray the rest of the bike down with Super Bike Wash. This wash is safe to use on EVERY part of your bike including the frame, handlebars, bar tape, saddle, etc, so don’t miss any spots. Make sure you get the hard to reach places as well. Remove your wheels and make sure you get the nooks and crannies behind the wheels. 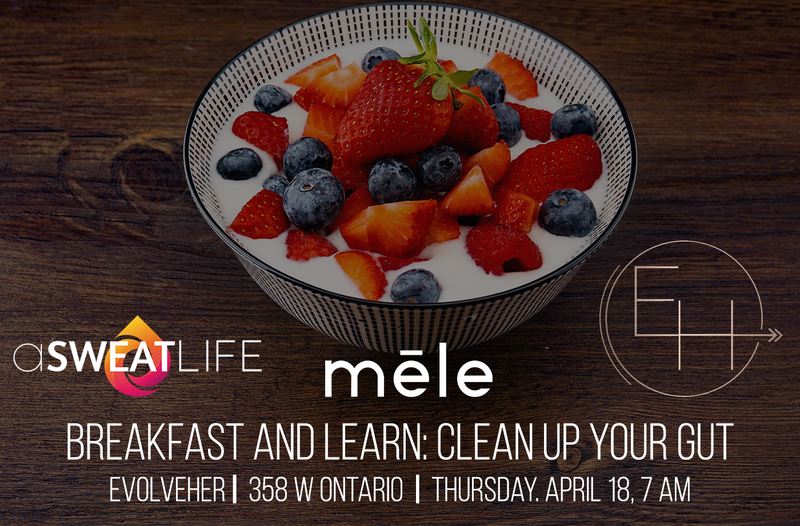 Pull your degreaser back out and degrease the drivetrain, derailleurs and pivot points. You only need a drop or two. Use degreaser by the brakes to get rid of any mud and gunk. Let it sit for a couple of minutes and then wipe everything down with a rag. There’s no need to use water. At this point, you’ll have a bright and shiny bike that’s loud and miserable to ride. You need to lubricate your chain. Finish Line also has a tool you can use to help you choose a lubricant. As the weather shifts into winter, it’s a good idea to use a wet lubricant. It’s better for salt on the roads, rain and snow, and will keep your chain from getting rusty while running smooth. As the wet lube picks up junk, it will turn black over time, so it’s good to wipe it down weekly with a rag. Don’t worry, there will still be lubricant inside the chain where it’s needed. 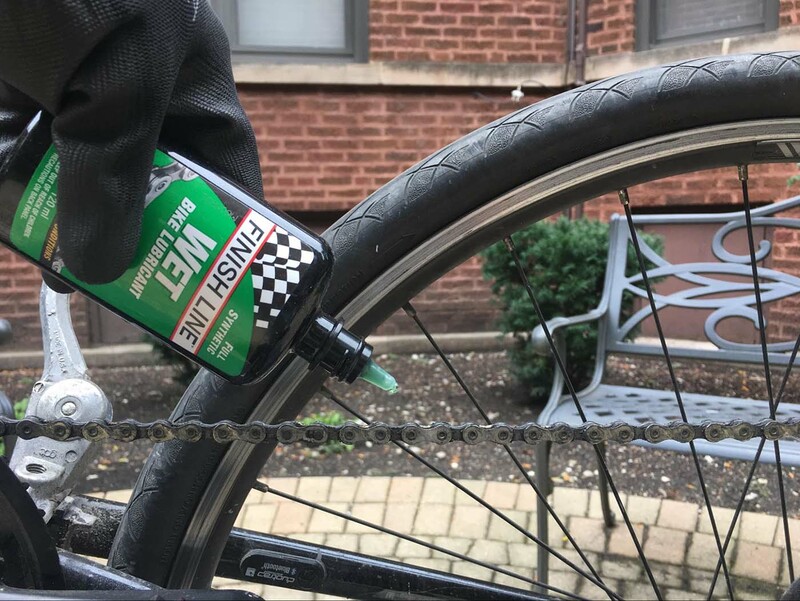 In order to apply it, spray or drip the lubricant on the chain constantly as you’re backpedaling until it’s completely coated. The No Drip Chain Luber can be a helpful tool to prevent mess and make sure your chain is evenly coated. Wipe down any excess with a dry rag. Put a drop or two in the pivot points (derailleurs, jockey wheels, brakes etc) as well. Just make sure you don’t get it on the brake pads or they will be less effective (if you do, wipe it down thoroughly). 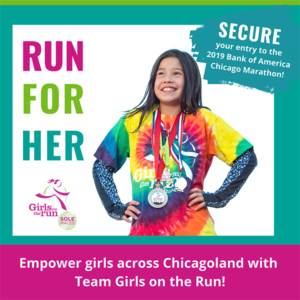 Finish Line has great videos on their website to help you apply either the traditional wet lube or the aerosol version, or for how to use the No-Drip Chain Luber. When you do a spring tune-up, you can switch over to a dry lubricant, which is better for dusty and dry environments. It’s less likely to pick up contaminants, so it stays much cleaner in the summer months. This video will help you know exactly where to apply the dry lube. Your bike is now ready to ride! If you want to go above and beyond, it’s also good to take your pedals off about once a year, grease the threads and then put them back on. This will keep them from getting stuck in place after many years of pedaling. You can also remove your seat post and grease it to prevent it from getting caught in the frame. 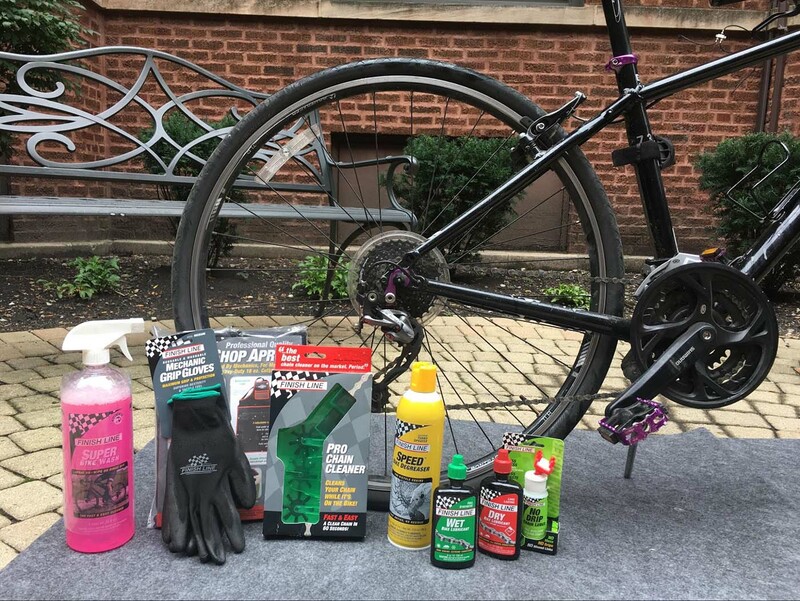 If this is your first time doing a home tune-up, Finish Line sells a few starter kits that can help you get going. For the basics, the Starter Kit 1-2-3 includes a degreaser, a brush, and a lubricant. Combined with bike wash, it will get you through the most basic tune-up. 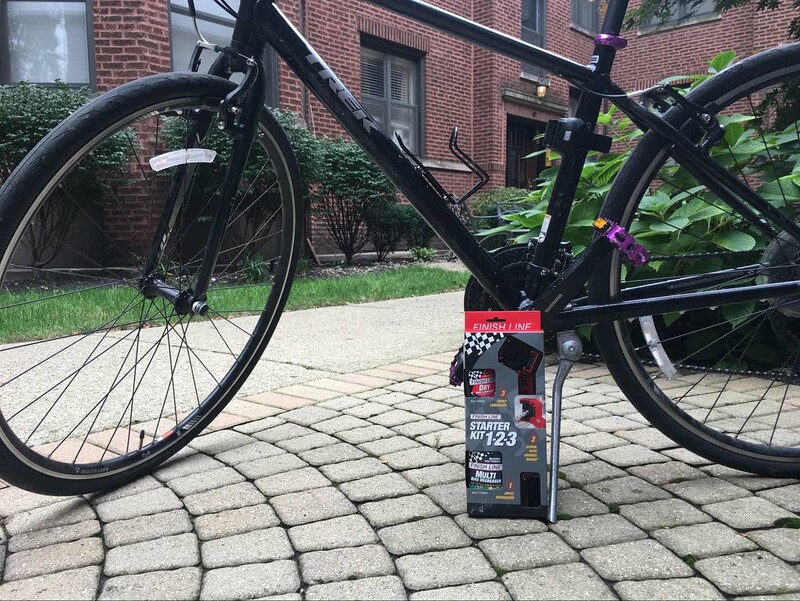 The Procare Buckets – 6.0 and 8.0 – are also great ways to purchase everything you need all at once and come with a handy guide to bike maintenance in an all-in-one package. They’re a bit more expensive, but have more of the things you need to get you through both a fall and a spring tune-up. What tips do you have for doing an at-home bike tune-up?